TV: Ducktales Is Getting Rebooted In 2017!! Disney is rebooting Ducktales for a 2017 release!!! Square Enix, Inc. announced today the launch of a new online store and revival of the popular Square Enix® MEMBERS Rewards Program. TV: Get The Complete Batman ’66 Series For Half Price Right Now! Less then 9 hours to take advantage of Amazons Deal of the day and grab yourself the complete Adam West Batman series for half price. Thanks to this casting call we get some character descriptions for the upcoming Deadpool movie. Get ready and save the date, SDCC open registration is one week away. 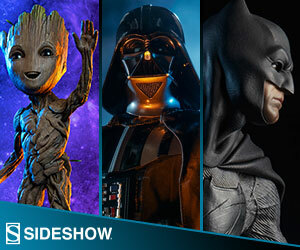 Get caught up on the Newly added characters, the return of Lady SIf and a new promo for Marvel's Agents of S.H.I.E.L.D. Some were afraid that since Shazam was going to be produced under New Line Cinema, we wouldn’t get a shared DC Cinematic Universe. However, that’s not the case.